In the ELA and social studies classroom, sometimes we simply must lecture or, heaven forbid, assign readings. I used to assign readings, my students would do them, and we'd have a class discussion. When I'd lecture, the students were genuinely interested in the stories I told (or did I imagine these things?). I've either become more perceptive in my middle years, or my students have become less attentive. Either way, the old ways I did things don't work anymore (or did they ever? Not sure). I see lots of pained expressions these days, but sometimes, we have to stand up and talk or assign readings. There's no way around it. I think most educators would agree that an effective way to do it is in short bursts with structured breaks for student reflection and action. After about ten minutes, most secondary students need a few moments of action so that we don't lose them. I want to discuss three specific methods I use to break up any lecture or reading in order to get students to reflect upon the material, work cooperatively, and hopefully, to retain, analyze, and manipulate the content. I like these methods because I provide students with the framework, and they generate the content (the questions, summaries, etc.). And yes, they do involve printing (but not a lot). I'm a huge fan of technology--I use it all the time to further my students' learning objectives. The most effective forms of technology for this purpose, I think, anyway, are paper, pencils, scissors, crayons, and glue--the basic stuff. I time each activity because I'm sure you've noticed that students will take as long as we give them. And we do need to get back to that lecture. events in chronological order or as complex as identifying events, their causes, and their effects. They can even categorize information. 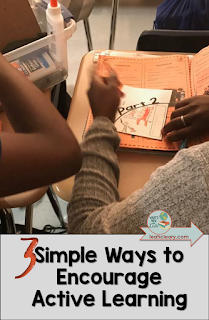 Then students cut out the sections from the chart, shuffle them up, and optionally, place them into an envelope that they label so you can reuse the sorts for review or at stations. Then they swap their strips with another pair and sort them into the correct order. Each pair checks the other and they use the sorts as a springboard for discussion. 2. Reflection and Peer Review: I give students a handout with a prompt based on our content. In a chart, they must state their opinion, provide an example from the lecture or reading, and explain why that example supports their opinion. Then they swap papers with their partner, and their partner offers a guided "peer review" on the right side of the page (see an example below). Partners take a moment to discuss feedback and then make revisions based on the feedback. 3. 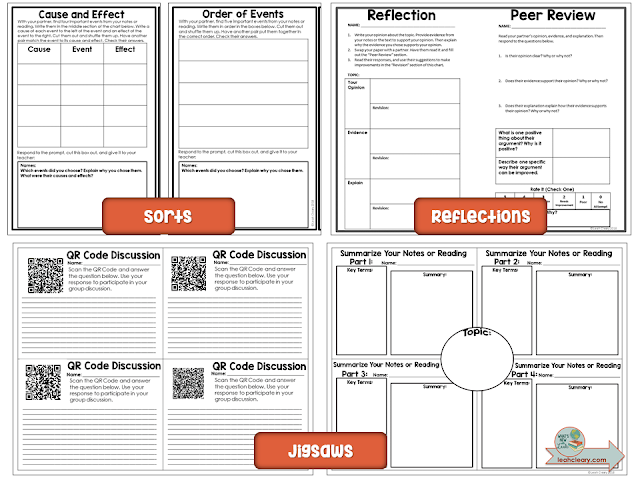 Jigsaw the Content: In groups of four, assign each student "a part" of the lecture or reading. They should summarize it in their own words or illustrate their part. It's also fun to hide discussion prompts within QR Codes and have the group assign them randomly so they don't know what each person has until they scan them. Then they should put it all together to form a whole and discuss it with their group. Your students' creativity is the limit with these--I love it that they are the ones doing all the work here--from creating to discussing to providing each other with feedback. You can make your own, but I have a set of 20 available HERE, if you'd like to check them out. 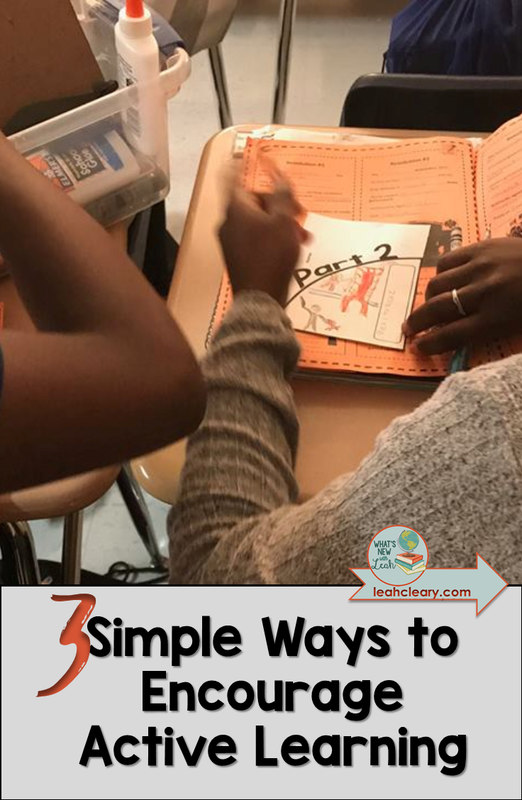 They are editable and they come with teacher instructions, plus student instructions in PowerPoint complete with activity timers. You can see a preview below. 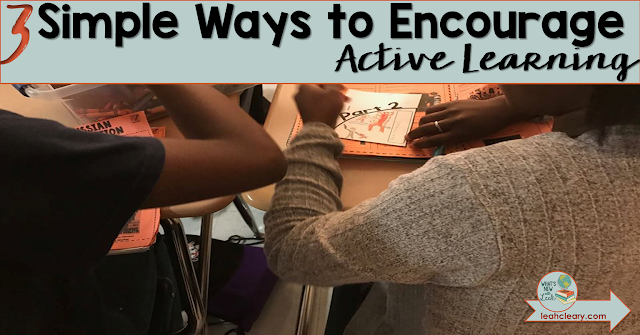 How do you encourage active learning in your classroom? Leave a comment and let me know!